Why are so many Americans retiring to Panama? 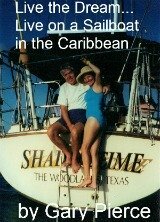 This book is written by an expat that has lived there over 10 years. The primary reason is the Panamanian government makes you so welcome. They want you, the Amercian, to spend your retirement check in their country...and why not? The government is a very stable democracy, has no military, since the USA guarantees its territorial sovereignty. The former Canal Zone, which employed up to 50,000 Americans...makes the Panamanian people very comfortable with Americans. You have your choice of Pacific beaches or Caribbean beaches... A few hours from Panama City you can be in the mountains, much cooler than at sea level, Boquete is very popular with ex-pats. The countryside around Bouqeute...no wonder it's enjoyed by its residents. If you are over 18 and can prove a stable monthly income from a pension of at least $500 a month they want you to spend it in Panama. You can live very well for $1,200 to $2,000 a month per couple...and Panama City is the first class gem of Central America. Panama was also voted the top place to retire out of the US, by AARP's Modern Maturity magazine. Pensionado means residency and no place in the world currently makes this process any easier...they want your money. They also have grandfathered anyone who becomes a resident (this is different from citizenship) from any change in these laws. * 50% off closing costs for home loans. * 25% off both international and domestic airline tickets. * 15% off dental and eye exams. * 30% off bus, boat and train fares. * 50% off entertainment including movies, concerts, sporting events and theater everyday. On top of these benefits, you can bring in $10,000 of household goods duty free. No property taxes on your home. All in a country where you can a full time maid for $200 or less a month. Does this sound like heaven ladies? Panama does feel like the USA because until 1999, 50,000 Americans lived here, operating the Canal Zone. Many of those "Zonies" are returning to Panama to retire, and why not. They enjoyed their time living and working here know the country and its friendly people. The currency, good old greenbacks, the US dollar. The economy is not just the Canal, which makes up 10%of the Panamanian GDP. There is currently 4 billion being spent to update the canal. Panama is also home to the second-largest free trade zone in the world (Hong Kong is the largest) and employs twice as many people as the Canal. Panama's economy is far more modern and service-oriented than you might think. All of this benefits those retiring to Panama. This is not the case in many other Central American countries. The phones not only work, the high-speed access to the internet is unsurpassed anywhere. This due to the American built systems that are now maintained by the Panamanians. In addition the roads are the best in Central America. The health care is also first rate, modern and a great benefit to those fortunate folks who are retiring to Panama. Many doctors are US trained. John Hopkins has a Panamanian affiliate. Panama is a very inexpensive place to live. For a comfortable home plan on spending $300 to $600, utilities(phone, electricity, cable TV, internet) $200, food $300, running a car $100, all per month. A full time maid will be $200, Part time less. A doctor visit will cost around $40. A typical dinner with wine at a nice restaurant will be about $25 to $30. All in all you can live very well, eating out a bunch, and have your bed made as well, easily for $1,200 to $2,000. Of course this depends on where you choose to live just like the cost of living varies in the US. The average Panamanian family, I am told, lives on less than $400 a month. Despite the above figure of $400 a month, the Panamanian people have the highest per capita income of all Central America. Their school system is a good one and they have a 90% literacy rate. 15% of the populace speaks excellent English. They genuinely like Americans due to the long standing US presence in the Canal Zone. Because of the Canal there is a strong European influence in Panama. You do not stand out like a sore thumb in Panama, not so in other countries. If you think Panama is hot and muggy you would be partially right. 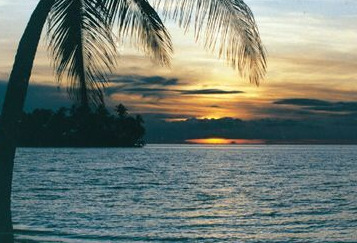 Panama is located between 8 and 10 degrees latitude and it is very tropical at sea level. However a mountain ridge runs through the length of Panama and affords a constant spring like climate in the upper reaches. Some mountain peaks are in excess of 10,000 feet. Some of the more desirable non beach locations to retire are David and Boquete both close to Costa Rica in the North of Panama. Cool(50 to 60F)nights and days in the 70s are the norm in the areas. Perfect to enjoy your cup of Panamanian coffee! 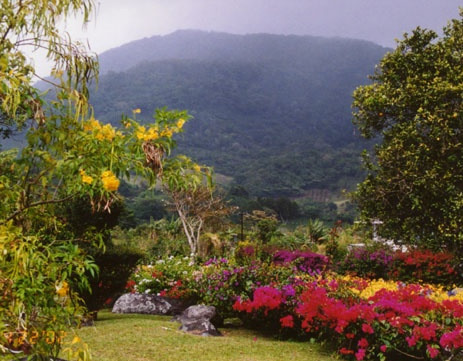 The mountains around David, close to Costa Rica, provide a great climate for scenery...gardening anyone. Or if the beach is more your style.